Third appointment for the registrations‚ opening of Colnago Cycling Festival! The cycling event, that was born and raised on Garda Lake, will open its grids and it will make available other 500 bibs! 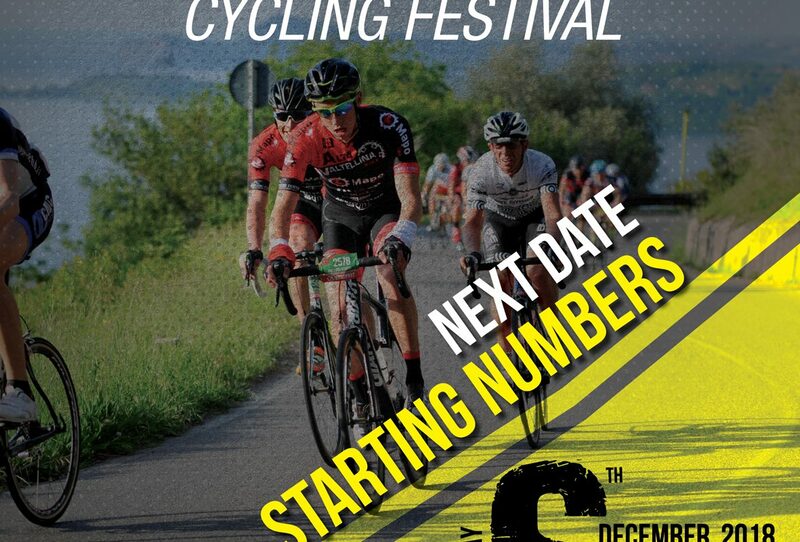 If you want one of 500 bib numbers signed CCF19, you have to log into WinningTime portal (⇒ www.winningtime.it) on December 6th, at 09.00 PM. You’ll have to be as fast as on your bike, because it’s possible that registrations will close soon: the last time, on November 4th, the bibs had been SOLD OUT around midnight! While you are waiting for the zero hour, we suggest you to visit our website www.colnagocyclingfestival.com and read CCF’s program that will liven up Desenzano del Garda on April 5-6-7th 2019! Remember that is very easy keeping in touch with us: you can visit ouy website, or contact us by e-mail or follow us on the social medias!